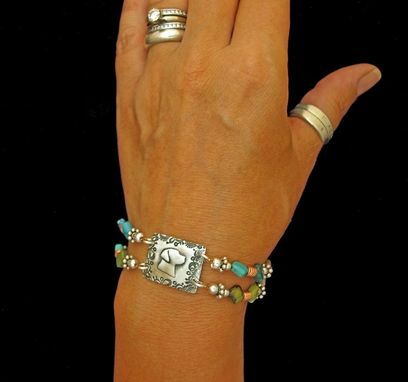 Earthy and Simple - Turquoise and Labs! 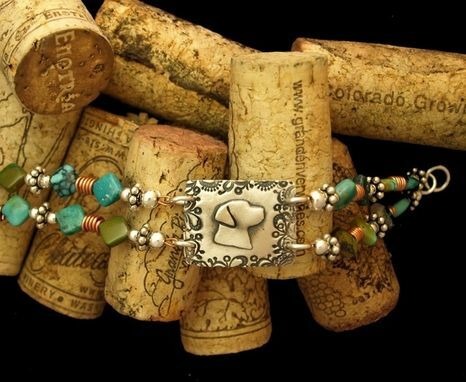 This 2-Strand Bracelet features a Lab Head Silhouette with Paisley Border, Various Shades of Green Turquoise, Copper and Silver Accent Beads and, a Sterling S Clasp. Individually Hand-made from 99.9% Fine Silver - modest variations to be expected.